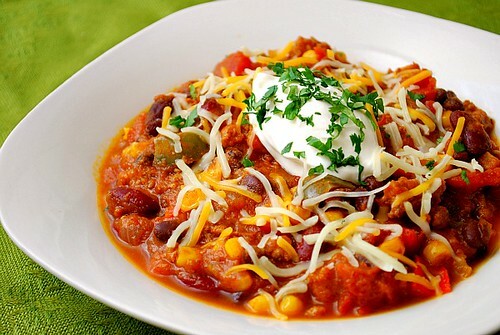 Article first published as Pumpkin Chili on Blogcritics. Heat 1 tablespoon of oil in a large skillet over medium-high heat. Saute the onion, green bell pepper, yellow bell pepper, and garlic until tender, about 10 minutes. When done, transfer mixture to a slow cooker. In the same skillet over medium high heat, add 1 tablespoon oil. When oil starts to shimmer, crumble in ground turkey, and brown, about 10 minutes. When done, transfer mixture into slow cooker. Add the tomatoes, beans, pumpkin, and corn. Season with chili powder, cumin, pepper, salt, and cayenne. Cover slow cooker and cook on high for 4-6 hours or low for 6-8 hours. Glad you enjoyed it so much that it made your rotation! I know the combination sounds weird but it definitely works :). I had this on my menu this week. Glad to hear that you liked it! This sounds like it would be awesome!! I'm slightly obsessed with pumpkin at the moment, in both sweet and savory dishes. Can't wait to try it out. 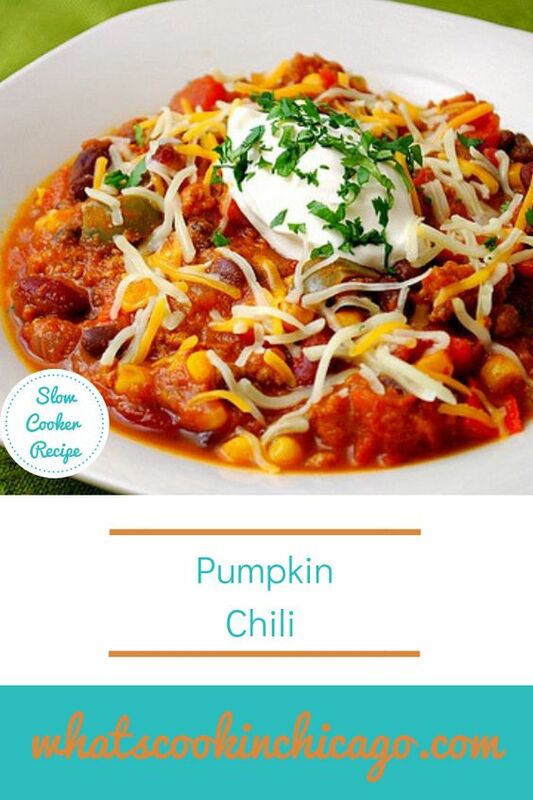 I've been looking for a good pumpkin chili recipe - tis the season for it! I'm so glad this was a hit. Congratulations! We wanted to inform you that this post has been selected as a Featured Archive Post on our site for the month of October 2013!